Thanks to their popularity, weather apps on Android are a dime a dozen. I, for one, am not a huge fan of weather apps as I still like swiping from the edge of the screen to an access Google Now cards to check the weather. Plus, I have a KWGT weather widget on my home screen. But, me not using a service doesn’t mean it’s bad. And, that’s why, as an app reviewer, I must share with you the apps that are pretty amazing, even though they are not for me. Who knows, you might find them useful. One such app is Today Weather. As I said earlier, Weather apps are a dime a dozen. Every app performs the same activity of telling you what’s the weather condition for the day, as well as for the week. I think, what really makes one weather app better than the others is how they present that information i.e. the visuals. And, when it comes to visuals, Today Weather is the most awesome looking weather app in the Google play store. The UI, the animation, the use of attractive images – it gets everything right. 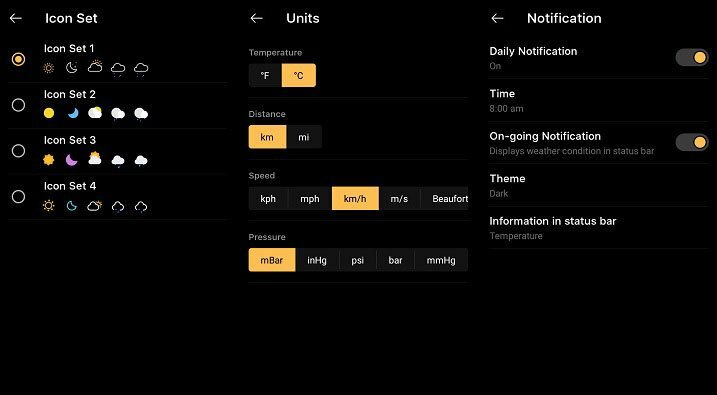 The dark background with carefully selected light colors for texts as well as some other elements along with an image on top that represents the weather condition makes the app pleasant to use and look at. Every weather app must provide detailed information. 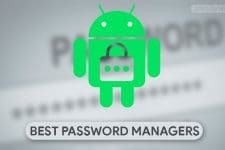 Now, the information shouldn’t be too much or too less otherwise the users may not like it. Today Weather hits the sweet spot in this area. It presents all the necessary information in a neat and organized manner. Scroll down on the main page to get details regarding humidity, UV index, pressure, etc. Scroll down some more and you get an hour by hour temperature detail. Play around in that area a bit and you’ll see detailed weather information for the next two weeks. 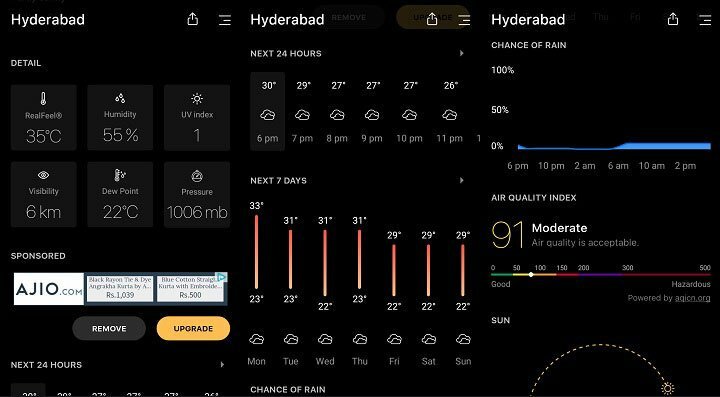 Below that it offers some extra information like the chance of rain (which I find to be really accurate), air quality index, sun position, wind speed, etc. You can add multiple locations and see all of them at a glance with a tap on the three lines on the top right corner. From there, you can also access the settings. Heading into the settings, you’ll find some really useful options. While there are some basic options like icon sets, units, data source, and update frequency, what I really like is the ability to customize notifications. You can set it to get a weather notification daily on a preferred time. 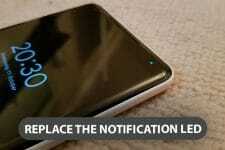 Or, you can place a permanent weather bar in the notification area. Other than that you can also enable alerts for when there is a severe change in weather or when rain is about to approach. No weather app is complete without widgets. Today Weather offers plenty of them. 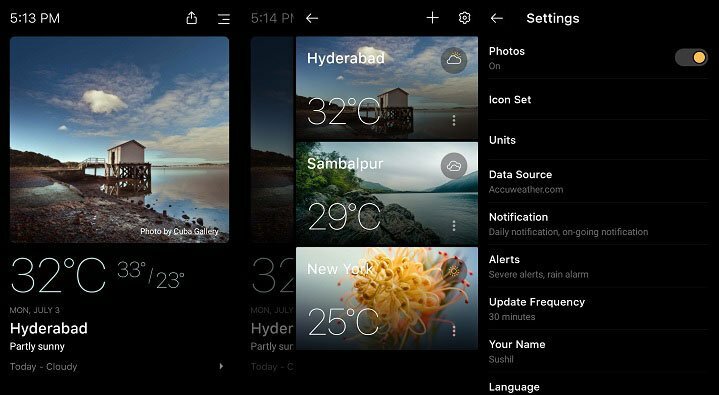 You get 14 different and minimal weather widgets of 4×2 and 4×1. They look really beautiful and make your home screen pop. 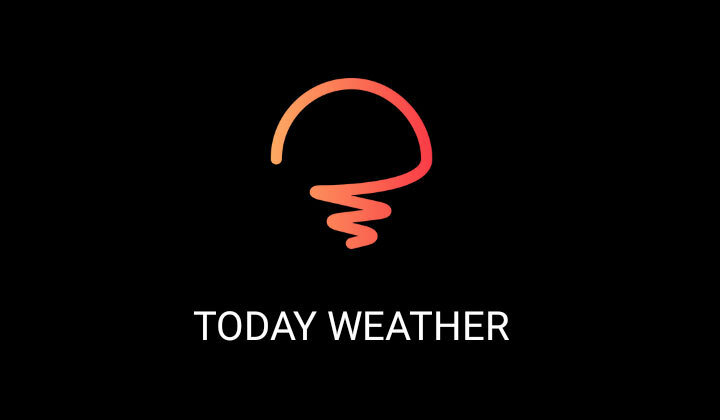 Today Weather is available for free on the Google play store. It shows ads and comes with In-App Purchases. It has 3 IAP options – INR 55 for 6 months, INR 85 for 1 year, and INR 260 for a lifetime. This purchase will get you some extra icon set for weather and remove ads.